The author describes this 694 page report on Presbyterian missions in India and Persia (modern Iran) as “formidable”. It is certainly a thorough and detailed survey of the state of missions in these countries in 1922. My thanks to Redcliffe College for providing a copy of this book to digitise (originally it was presented to Exeter Cathedral library). This title is in the public domain. The report goes on to give the results of a fascinating survey of the reasons why Muslims in Persia decided to become Christians. Henry Martyn [1781-1812] was an English missionary who served as a Chaplain to the East India Company. He is remembered for his translations of the Bible into Urdu and Farsi and for his courage, selflessness and commitment to Christ. The Henry Martyn Library established in his memory is now the Cambridge Centre For Christianity Worldwide. 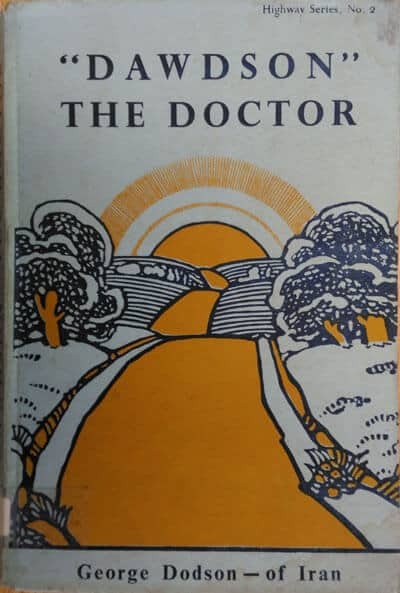 In this book, kindly provided for digitisation by Redcliffe College, the author laments that Martyn was not as well known [in the 1890’s when the book was written] than he deserved. He hoped that this biography would serve to correct that deficiency. It is very likely that the book is now in the public domain, but I have been unable to establish a definitive date of death for Jesse Page. If anyone has further information about the rights, please contact me. Strange it may seem, in an age when missionary interest is at flood-tide, and the heroisms of the field of God are being recognised on every hand, Henry Martyn is comparatively unknown. 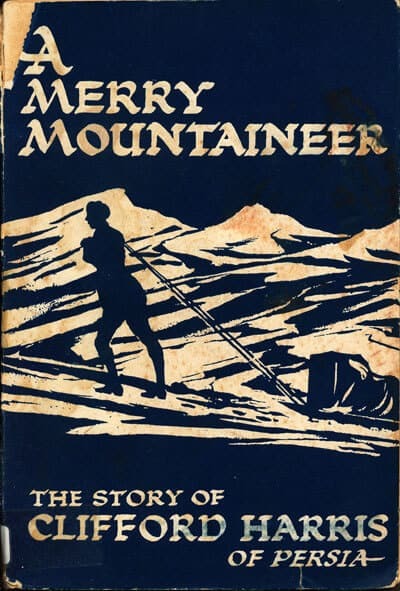 On the horizon of the twentieth century he is dimly discerned, a luminous shadow far away, but felt to be that of one who was brave, and good, and suffering, who toiled his life away for others, and died in almost tragic solitude, friendless and alone. But distance weakens the true influence of a man, though it may glorify his memory; therefore, I have made the endeavour in the pages of this book to correct the focus of vision, and bring Henry Martyn, if possible, a little nearer to us in clear and vivid outline, instinct with reality and life. The History of Arabian Missions is one of the most unusual books among the collection passed on to me for digitisation by Redcliffe College. It summarises first the evangelisation the Arabian Peninsular from the the First Century until 1889. 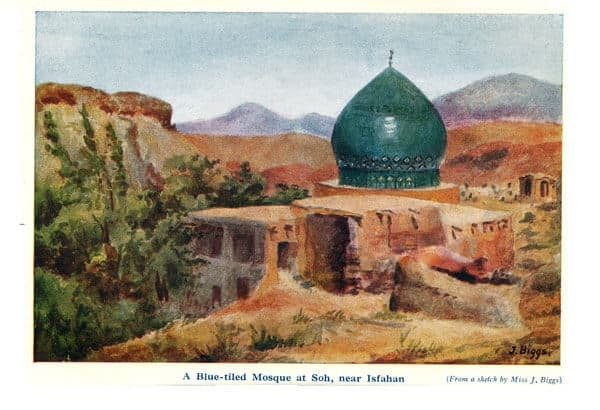 From then on it covers in great detail the foundation and developing work the Arabian Mission by James Cantine [1861-1940] and Samuel Marinus Zwemer [1867-1952]. My thanks to Doug Leonard, the Director of RCA Global Mission, for his kind permission to place this book on-line. This section caught my wife’s eye as she was scanning through the book. This little book tells the story of the work of Clifford Harris [1904-1930] in Persia, modern day Iran. It is reproduced by kind permission of the Church Missionary Society. On a beautiful stretch of Sussex upland, two miles from the town of Horsham, stand the stately buildings of Christ’s Hospital -the ancient school for boys in the new setting to which it was moved from London early in the twentieth century. Here, on October 24, 1904, Clifford Harris was born; and some account must be given of his early days and of the family life that was to mean so much to him. to fall upon his young kinsman. 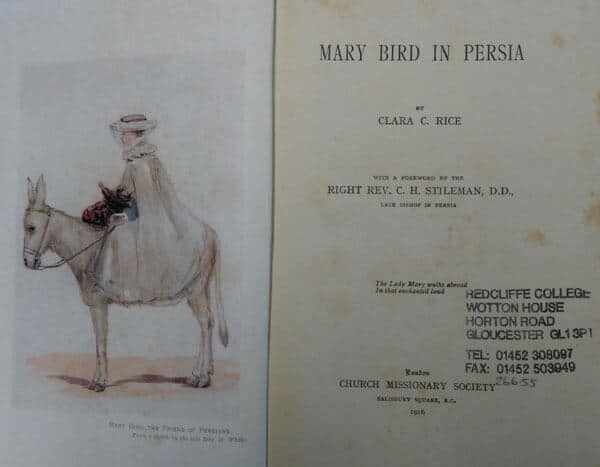 I am pleased to be able to upload a biography of Mary Bird, who served the Lord in Persia – modern-day Iran. You will note from the photograph above that the original was quite foxed – something which happily I have been able to remove in the digitised version. Reproduced by kind permission of the Church Missionary Society. All who had the privilege of knowing Mary Bird intimately, and of being her fellow workers in the great cause of foreign Missions, will rejoice that this memoir is being given to the public. The story of her life and labours can hardly fail to be an inspiration to those who read it. One could not see much of her without realizing the Presence of the Master to Whose service all her time and her talents were consecrated. 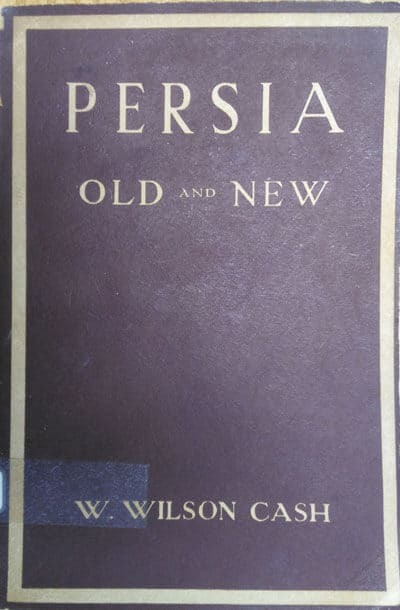 As I am writing Iran (formerly Persia) ranks #6 on my online poll, but I have a further reason for putting this book online. The publisher, the Church Missionary Society, has granted me permission to digitise a number of their books from the 1930s. Most of these are about work in Muslim countries, so I have decided to work on this batch first so that I can send the CMS archivist a complete list of links to the books. My thanks to the CMS for their kind permission. It was my happy experience to visit Persia in April and May, 1928. My tour carried me over 5000 miles by motor car, and I visited all the C.M.S. centres of work, as well as several stations of the American Presbyterian Mission. I was entertained by British, Americans, and Persians, and to my many kind hosts and hostesses I would express again my grateful thanks. Iran currently ranks #8 on my online poll, so here is a biography of Dr. G.E. Dodson, who served in that country until his death in 1937. A Friend of Iran, “Dawdson” The Doctor. G.E. Dodson of Iran. London: The Highway Press, 1940. Hbk. pp.73. Click to download in PDF. It was summer time in Iran. A sudden clatter of feet and the sound of shouting broke the stillness of the warm, early morning. Malekeh, who had been sitting in a shady corner of the veranda, sleepily cleaning rice for dinner that night, jumped up and listened. Then she pulled her gaily-printed cotton wrap or chaddur around her so that only her eyes were visible, and ran across the courtyard and down the passage that led to the village street. What she saw as she looked up the rough pathway made her turn and shout back to her mother and the servant, who were busy stirring pots in the little smoke-blackened kitchen.